Dentists frown on sugary sweets – we all know it. But the dental office of Glenn H. Norton, DMD wants you to know that some non-sugary snacks can be harmful to your smile too! 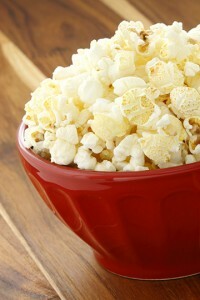 Many people chew ice as a habit and like to enjoy a bucket of popcorn while at the movies, but the consistent crunching of these foods and others like them can not only potentially lead to broken teeth in Glen Allen, it can also create tiny cracks that leave you more susceptible to cavities and weakened teeth. Our Glen Allen dental office is here to help keep your smile healthy, in spite of your snacking habits. If you’re one to crunch your ice, or if you really like your caramel snacks, it’s even more important to maintain regular exams in order to keep your smile healthy and strong. And if you do happen to chip a tooth on a popcorn kernel while catching the latest flick, don’t wait. Contact us as soon as possible. Posted September 18, 2013 by Glenn Fortner & filed under General Dentistry. The best way to prevent these types of injuries is by using a mouth guard at our Glen Allen dental office. Sports mouth guards can greatly reduce the risk of mouth injuries and can even decrease the chances of a concussion or jaw fracture. 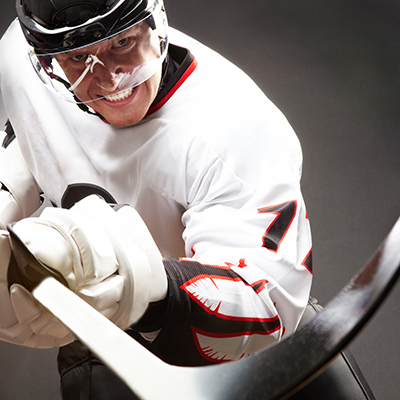 Both the American Dental Association (ADA) and the Academy for Sports Dentistry (ASD) recommend a properly fitted mouth guard to successfully protect your mouth during a sporting activity. And only your Glen Allen dentist can give you a sports mouth guard that’s properly custom fitted just for you. At the dental office of Glenn Fortner, DDS, we encourage all of our athletes – both children and adults – to take care of their mouths during contact sports. If you’re playing in a recreational league, your kids are just starting to play, or if you’ve been training and playing your whole life, a sports mouth guard made in Glen Allen can save your teeth, and your smile. Don’t wait for an injury to happen, take the preventive approach and call us today. Posted September 6, 2013 by Glenn Fortner & filed under General Dentistry. As we wrap up our three-blog series on gum disease, let’s take a moment to recap what we’ve discussed. You know what gum disease is. You know what symptoms to look out for. You know that it can cause greater health problems and affect your overall well-being. Now all of us at Glenn Fortner, DDS in Glen Allen want to make sure you know how, together, we can prevent gum disease. Pairing good dental habits at home with regularly scheduled dental appointments can help maintain a healthy mouth and prevent gum disease from ever occurring. 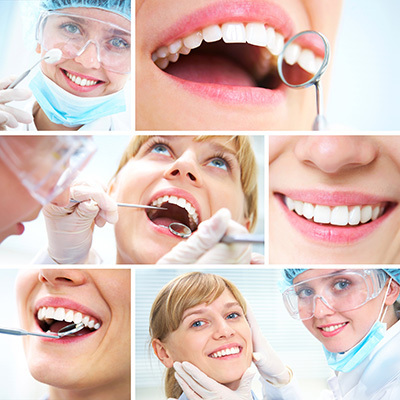 Visiting your dentist in Glen Allen at least twice a year for exams and cleanings can help keep you healthy and can also help catch any potential problems before they have a chance to progress and affect the rest of your body. If you’re due for a dental cleaning and checkup, or if you’re concerned about your gum health, contact our Glen Allen dental office at 877-849-2226 to schedule an appointment today and we’ll work together to prevent gum disease. If we do happen to find active gum disease, don’t worry. It’s often easily treated. And if we catch it early, it’s even easier. Don’t wait for your gums to show signs of a problem. Be proactive and call us today. Posted August 26, 2013 by Glenn Fortner & filed under General Dentistry. In our last blog we covered the basics of periodontal (gum) disease, and we all now know that it’s dangerous to the health of your mouth and can lead to tooth loss. But all of us at the Glen Allen dental office of Glenn Fortner, DDS want you to know that the health of your overall well-being can also be affected by gum disease. The bacteria in gum disease can cause various health issues by being absorbed into the bloodstream and carried throughout your body, inhaled into your lungs, transferred from person to person, and can even lower your immune system, making you more susceptible to infections. In fact, those with periodontal disease are at double the risk for a fatal stroke or heart attack. 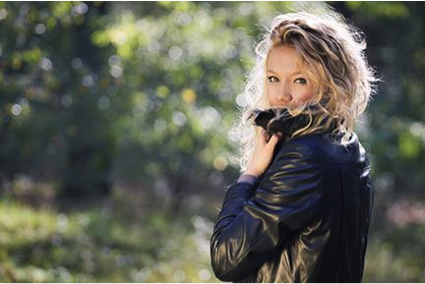 Given the serious nature of gum disease, our Glen Allen dental office urges you to keep up with your routine dental checkups since early detection and treatment are the best way to keep gum disease from affecting the rest of your body and your overall health. If you’ve noticed any signs of gum disease including bleeding gums, loose teeth, or chronic bad breath, or if you’re due for a checkup and periodontal screening, we encourage you to call our Glen Allen dental office as soon as possible. We’ll perform an in-depth examination of your gums and start any necessary periodontal maintenance to keep your mouth, and your body, healthy. Posted August 12, 2013 by Glenn Fortner & filed under General Dentistry. Who Cares About Gum Disease in Glen Allen? We do! At the dental office of Dr. Glenn Fortner, gum disease is one of our top concerns at every visit, for every patient. In fact, we’re going to devote the next few blogs to gum disease so our patients know how to recognize it and what to do about it. “Periodontal disease” is the technical name for gum disease, an infection of those tissues that support your teeth. 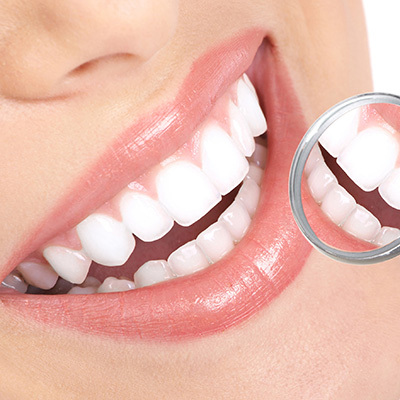 ● Gingivitis is the mildest form of periodontal disease. Your gums may be red and swollen, and may bleed easily when brushing or flossing. Even a little bleeding is NOT ok, and it’s a sign that you should visit our office in Glen Allen soon. ● Periodontitis is more advanced gum disease, developing when gingivitis goes untreated. Bacterial plaque on your teeth irritates your gums and they start to break down, creating deeper and deeper pockets around your teeth, until they start to loosen or even fall out. If you notice any sore or swollen gums, bleeding, or loose teeth, come see us right away! We always make every effort to save your natural teeth. Sure, we can replace lost teeth with dental implants, or bridges and dentures, but wouldn’t you rather smile with your own teeth? If you’re due for a regular visit, or have any questions or concerns, why not give us a call at our Glen Allen dental office at 877-849-2226 today. Posted July 24, 2013 by Glenn Fortner & filed under General Dentistry. Going on vacation? In addition to cameras, sunscreen, and comfortable shoes or boots, you probably have a small emergency first aid kit for minor scrapes, scratches, or headaches. But dental emergencies can happen anywhere, even if you’re nowhere near our dental office in Glen Allen. If a knocked out tooth can be re-inserted, gently attempt to put it back into place. This can be the best method of saving the tooth. Bleeding from a cut or lost tooth – A cut lip, tongue, or cheek, or even a lost baby tooth can cause bleeding. Gently clean the area with a clean wet cloth and apply pressure for about 15 minutes. You can also apply ice or a cold compress to the area. If the bleeding doesn’t stop after 15 minutes, get to a dentist or doctor as soon as possible. Accidents can happen anywhere. 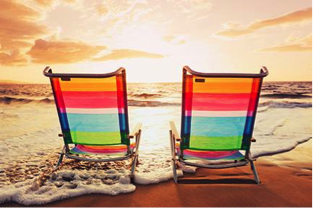 A few precautions and a little preparedness will help you get back to your vacation fun as soon as possible. When you return, it’s a good idea to schedule an appointment at our dental office in Glen Allen to have the tooth or cut examined. If necessary, we will restore your tooth with bonding, a crown, or any of the restorative or esthetic dental services we provide at Glenn Fortner, DDS. Posted July 9, 2013 by Glenn Fortner & filed under General Dentistry. When Should Glen Allen Patients Worry About Wisdom Teeth? You shouldn’t worry about them at all! Unless you’ve ignored any symptoms of pain or problems with your wisdom teeth or you haven’t been to the dentist in Glen Allen lately. The wisdom teeth are technically called the third molars. They usually start to come in during the late teens or early 20s, when many people are in college or new jobs, hopefully learning and gaining wisdom! Good question! Scientists are studying that but we still don’t know the answer. What’s interesting is that in some areas of the world, almost 100 percent of people don’t get wisdom teeth, and in other areas nearly 100 percent do get their wisdom teeth! One thing we do know is it’s not wise to neglect regular dental care or ignore wisdom tooth pain. Contact Dr. Glenn Fortner at our Glen Allen dental office if you’re experiencing any problems. Checkups and prevention are always a wise move! Posted June 28, 2013 by Glenn Fortner & filed under General Dentistry. Do You Use Your Teeth as Kitchen Tools? You know you shouldn’t be! But we do it all the time. It’s so easy to just use your teeth to open plastic bags, rip off sales tags, or hold on to small objects while you’re working on a task. At Dr. Glenn Fortner’s dental office in Glen Allen, we see patients with chipped or broken teeth, and how do you think many of them got that way? You guessed it, using their teeth for something other than biting or chewing food! Using your teeth to open shipping envelopes, bottle caps and candy bars can damage the individual teeth involved, but also throw your jaw joint out of balance, which can lead to chronic jaw pain, such as TMD/TMJ disorder. So what could happen if you use your teeth in ways nature didn’t really intend? Obviously you could chip or break your tooth, requiring a restoration, such as dental bonding, or a porcelain crown. Dr. Fortner offers both dental bonding and porcelain crowns for patients in Glen Allen. So next time you’re in a hardware store, why not pick up a small multi-purpose tool and keep it handy in your car or in your kitchen? If you do experience a dental injury, no matter what the reason, please contact us at our dental office in Glen Allen at 877-849-2226 as soon as possible! Posted June 13, 2013 by Glenn Fortner & filed under General Dentistry. Even if you’ve never had root canal treatment, you may dread the procedure, just because of jokes or tall tales! The fact is, a root canal treatment is just that…it treats the problem and relieves pain. In most cases, you will not have any pain during a root canal procedure. But do you know what it is, and why we perform root canal therapy at Dr. Glenn Fortner’s dental office in Glen Allen? When the nerves inside the pulp and root canals of your tooth become damaged or infected, it can cause discomfort, swelling, or sensitivity to heat and cold. An infection in the pulp and root canals generally does not clear itself, and needs treatment. We first treat any infection and clean the tooth by removing any disease and cleaning out bacteria and debris that cause infection. 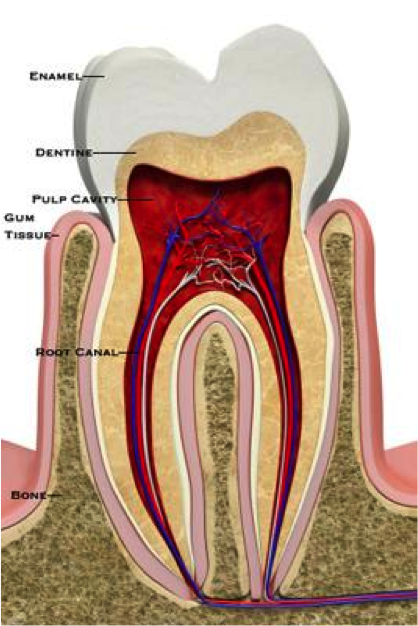 Once the tooth is cleaned, we fill the empty spaces in the root canals to seal them against bacteria. In most cases after root canal treatment, the tooth will be weakened and need to be reinforced. The best option is usually to place a porcelain crown on the tooth to protect and strengthen it. If you’re experiencing any pain, or recurring soreness and inflammation, please contact our dental office in Glen Allen at 877.849.2226 to see us as soon as possible. In some cases, you may not feel any symptoms, but a general exam and x-rays might show us a problem before it becomes painful. So remember to keep up with regular checkups too! Posted May 30, 2013 by Glenn Fortner & filed under General Dentistry. But dental care in Glen Allen should begin even before that first precious tooth appears. Start out by using a soft cloth and gently wipe his gums when you’re giving him his bath. When his teeth start to appear, use a soft baby toothbrush and a tiny drop of non-fluoride toothpaste to gently brush his teeth twice a day. If your infant knocks out a baby tooth, don’t worry—a permanent tooth will eventually grow in its place. But take him to the dentist to make sure that no underlying teeth were damaged and will still have space to grow in. Baby teeth are important because they help your child eat and speak and because they hold a spot in your child’s mouth for his permanent teeth to come in properly. 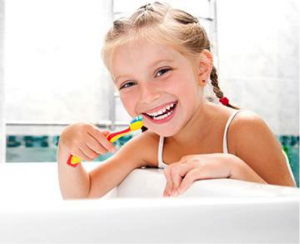 Your baby should have a first dental checkup about the time of his or her third birthday. Starting early with routine dental care will help your child develop a lifetime of good habits. At Dr. Glenn Fortner’s dental office, we provide children’s dentistry to help your children get their smiles off to a good start. And don’t neglect your own dental care! Call our dental office in Glen Allen for your checkup at 804.346.4600. In fact, make it a family affair when you bring your child in for a checkup! Posted May 14, 2013 by Glenn Fortner & filed under General Dentistry.